The newest Minecraft update recently went live and, while it makes a number of expected gameplay changes, it’s one change in particular that has gotten people talking. The update appears to have removed all references to Minecraft’s creator, Markus “Notch” Persson from the game. While the splash screen originally featured quotes like “Made by Notch!” and “The Work of Notch!,” those have all been removed. 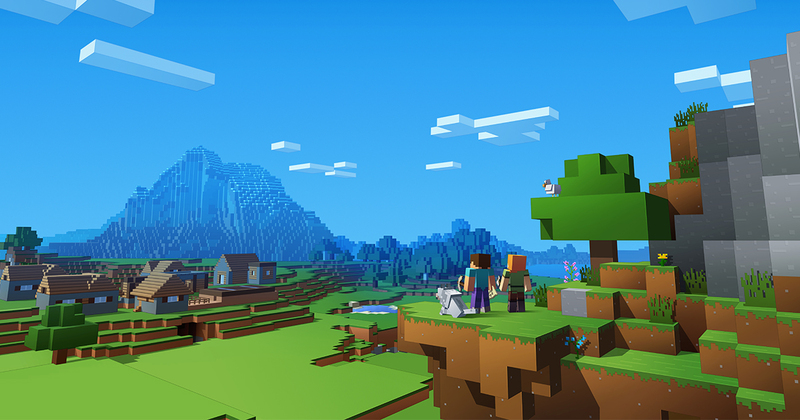 Notch has had no involvement with Minecraft since he sold his widely successful game to Microsoft for $2.5 billion in 2014. His name also does still appear in the end credits. This could be a case of Microsoft wanting to show more control over its IP. However, it’s also likely to do with Notch’s controversial online persona he had developed in the years since the acquisition. Outside of Notch’s online persona, it does make sense to see Microsoft wanting to distance itself from a creator that’s not even actively involved with the game. Despite Minecraft being available in some form for a decade now, it is still one of the most popular games out there. While work may have ended on previous-gen versions of Minecraft, the game itself doesn’t seem to be going anywhere anytime soon. However, Microsoft has yet to comment or give an official reason as to why it made the decision to scrub Notch from the game.